A high school All-State selection in Ohio, Payak moved on to Bowling Green University where he was a starting guard his freshman year and, using an assortment of one-handed jump shots and two-handed set shots, scored nearly 1,000 points in four years at BGU. He closed out his college career with 17 points against Bradley in the NIT consolation game. Payak played pro ball (1949-1954) with Philadelphia and Milwaukee, and also with the Toledo Mercurys, the traveling team with the Harlem Globetrotters. For 17 years, he refereed basketball in the Big Ten and Mid-American conferences and NCAA tournaments. John Payak was born in Toledo, Ohio. He gained the sports fans’ attention as an All-City and an All-Ohio basketball selection at Woodward High School. He also gained the attention of a number of college basketball scouts. 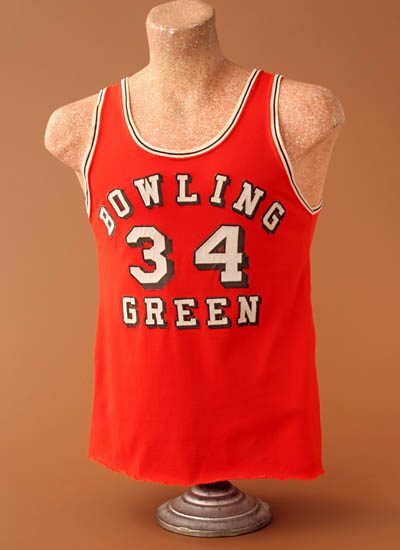 John chose to attend Bowling Green State University where he played varsity basketball in a starting role as a 6-foot-4-inch guard during his freshmen year in 1945. But military duty interrupted Payak’s career as he served in the U.S. Navy for a year. 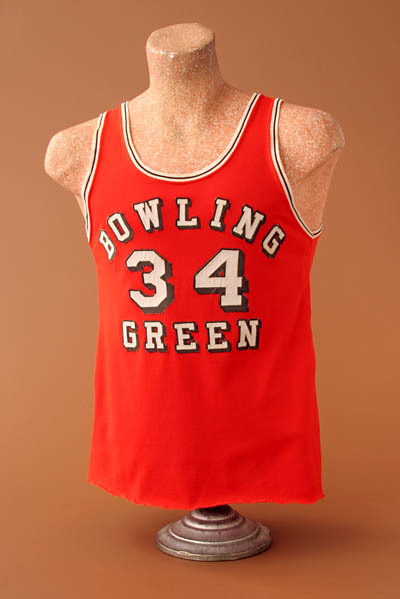 He returned to Bowling Green in 1947 and was one of the team’s top scorers. Payak was one of the smoothest guards in BG history and in 1948 led the Orange and Brown in shooting average for the season. He was also a defensive leader and was usually the first man back to stop opponents’ fast break opportunities. John was steady and dependable. He was a dangerous scoring threat from the outside with his two-handed set shots, as well as a threat from the key with his one-handed jump shot. In four years of varsity competition, he averaged nearly 200 points a season in an era not known for high scoring games. He closed out his college career with 17 points against Bradley in the NIT consolation game. Payak played pro ball with the NBA’s Philadelphia and Milwaukee franchises from 1949-1954. He also played with the Toledo Mercurys, the traveling team that competed against the Harlem Globetrotters at various exhibitions. After retiring as a player, John stayed active in the game by becoming a basketball referee. For over 17 years he officiated contests in the Big Ten, the Mid-America Conference and in NCAA tournament action. He also served as Supervisor of Basketball Referees for the Mid-American Conference. Payak established himself as a pillar in the Toledo business community by starting and running his own insurance agency.